We love our Teachers and want to gift them with something that shows how much we appreciate their time and dedication to our kiddos. Most teachers get mugs filled with candy and while that’s also a lovely gift, we wanted to make something with a little more ‘pop’! That’s where this Movie Night Idea came in. One of our favorite things to do as a family is rent a Redbox movie, pop some popcorn and relax together. We figured our teachers would love that too! 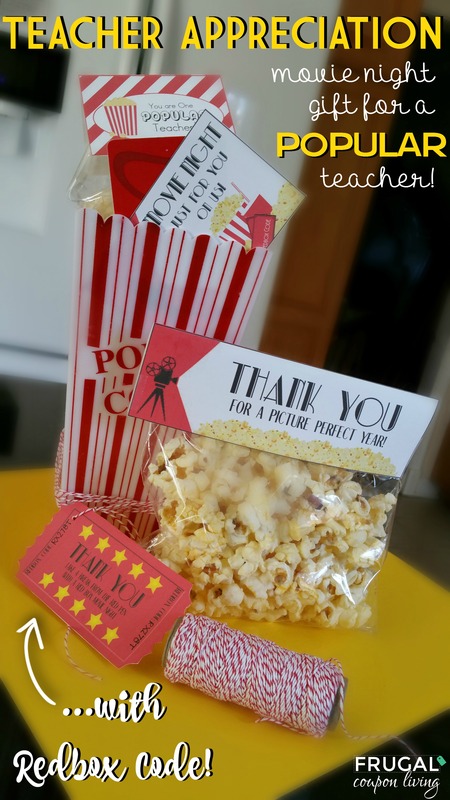 So, we packaged up some popcorn, you could also add a bag of un-popped corn and tied it up with twine attached the FREE Printables and the gift was ready to go! So easy! You can get your own Redbox Code Gift HERE. 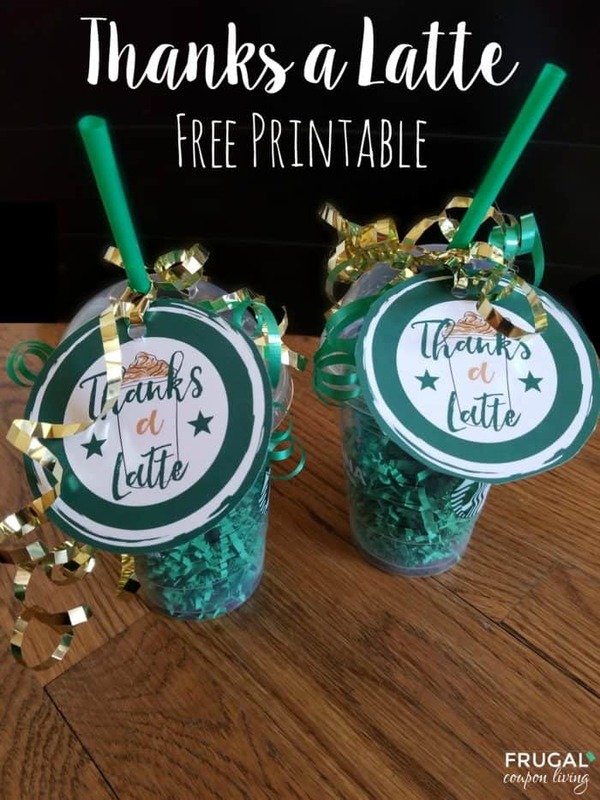 We love our Thanks A Latte Printable. Pin to Pinterest. 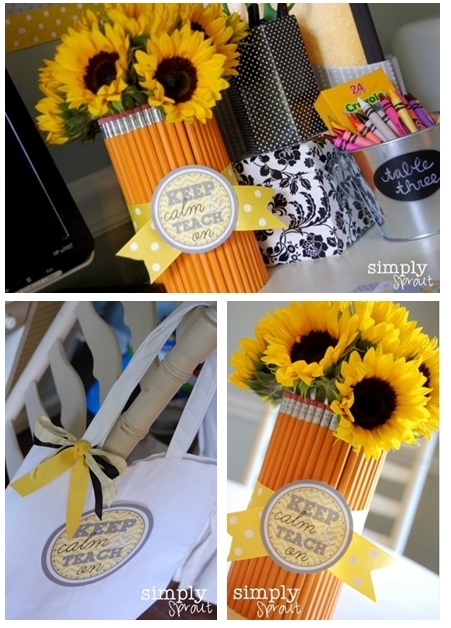 Speaking of POPULAR, our “Stay Calm, Teach On” Pencil Vase with FREE Printable Gift Tag is another great and popular idea for Teacher Appreciation Week or back to school! Pin to Pinterest. Don’t forget this round-up of Easy and Creative Teacher Appreciation Gifts. Pin to Pinterest. 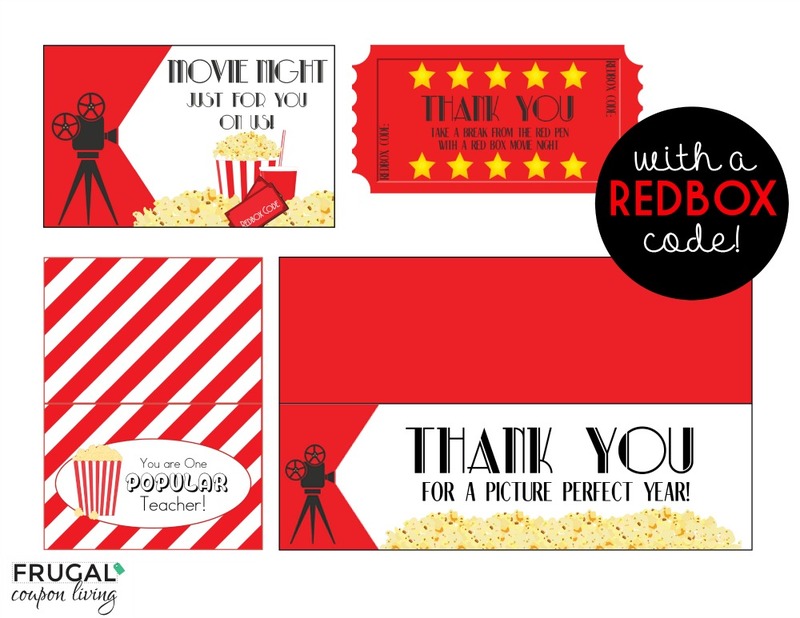 Also enjoy our Teacher Appreciation Printables. Pin to Pinterest. Also take a look at these Kids Snack Ideas. Pin to Pinterest. Feeling Crafty? Enjoy these Kids DIY Crafts and School Supplies. Pin to Pinterest.